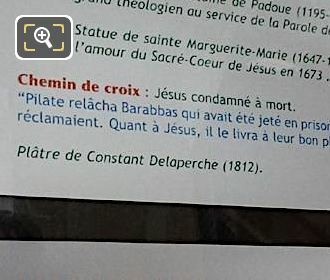 We were within the Eglise Saint-Roch, which is a historical church located in the 1st Arrondissement of Paris, when we took these high definition photos showing a sculpture called Jesus Condamne a Mort, which was produced by Constant Delaperche. 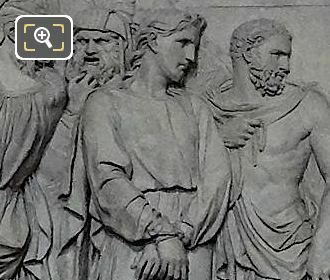 This first HD photo shows a sculpture of a biblical scene called Jesus Condamne a Mort, which in English translates to Jesus Condemned to Death, and this was produced in plaster for the Eglise Saint-Roch back in 1812 by Constant Delaperche. 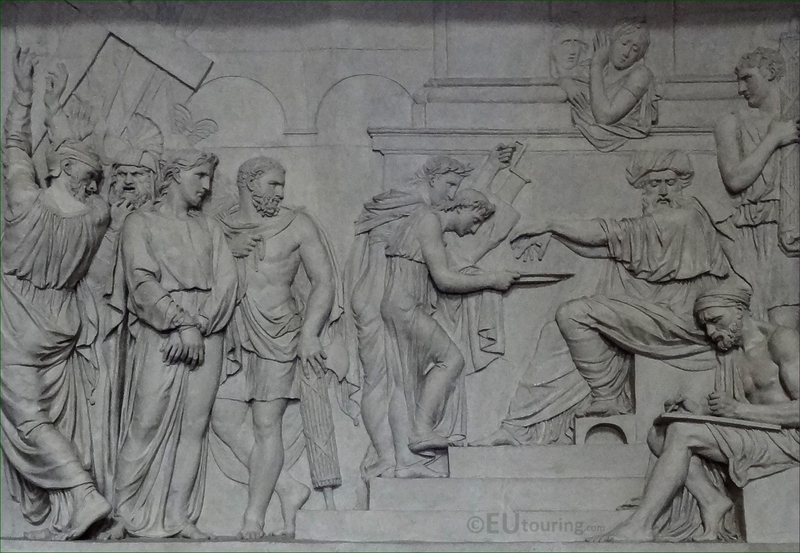 So this photograph shows the detailing that went into producing this particular bas relief or low relief scene, which was by Constant Delaperche, who was born in 1790 and studied to become a painter and sculptor, mainly focusing on historical and religious art works that can now be found in different churches in France, yet very little is known about this artist. 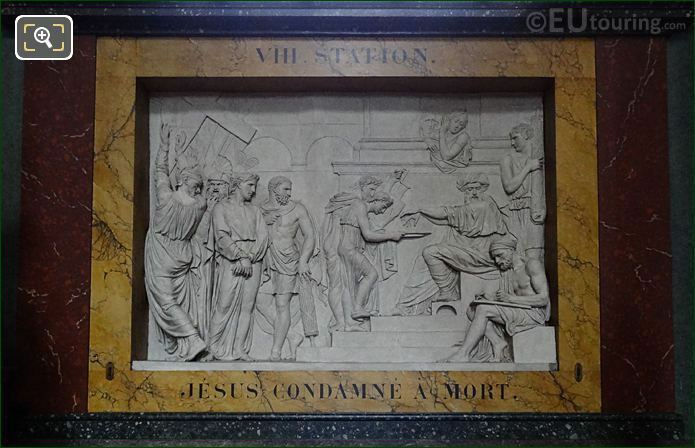 Here you can see the title of this bas relief sculpture of Jesus Condamne a Mort, which refers to a section in the Bible under Saint Luke, and this can be found within the Chapelle Sainte Catherine et le Chapelle Saint Antoine de Padoue, located on the right hand side of the Eglise Saint-Roch as you have entered the church from the Rue Saint Honore. 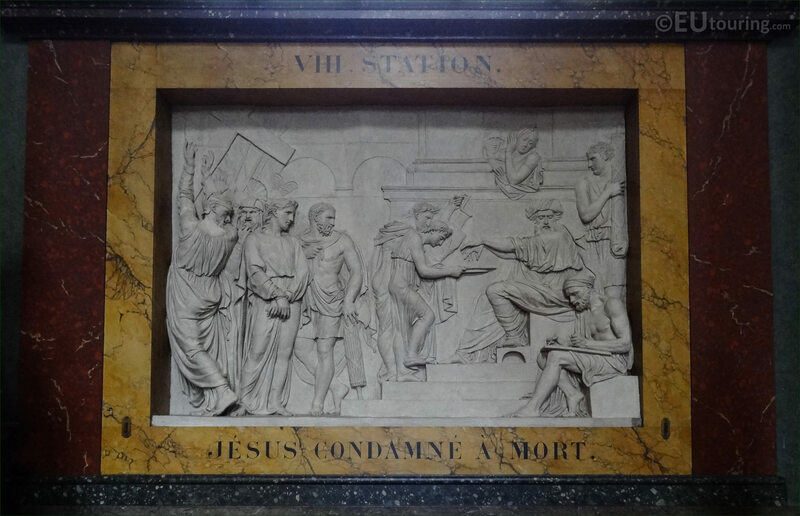 However, the above image shows VIII Station, as a title for Jesus Condemned to Death, which is classed as one of the Stations of the Cross, also sometimes known as Stations of Christ, and hence the Roman numerals related to this being the 8th Station, in the Chapel Saint Catherine and the Saint Anthony of Padua Chapel. 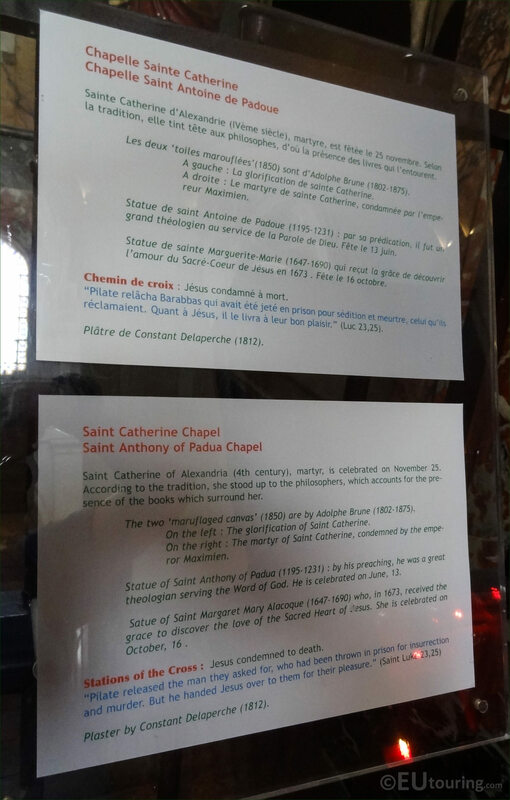 You will find that the Eglise Saint-Roch is very historical, with many famous people having been buried here, and many of its statues and sculptures, along with its paintings are now classed as historical monuments in their own right, and this image shows one of the tourist information boards providing additional details about what you will find in this one small area of the church.